Just because it's eye-catching doesn't mean it will catch you business. Professional website designers move visitors around websites by using clicks and links. Business writers often get compensated by how many clicks they generate from articles they write. Every HTML email advertisement is designed as a case study of how-to-produce clicks. 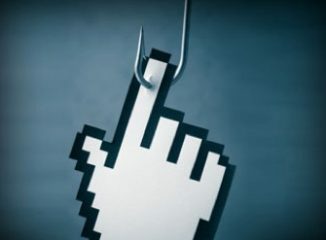 Clickbait — presenting an eye-catching link that encourages visitors to read on, is an online marketing strategy often used to produce or improve clicks rates. Unless your site has something to do with Viagra or a Kardashian, it’s better to just stay relevant and professional in your online advertising. Don’t employ clickbait – you don’t like to be manipulated, fooled or tricked…and neither does your prospect.